If you’re looking for help tackling your 2016 New Year’s resolutions, we’re here to help. Check out these cool, free apps that our Editor Kristen featured on The Today Show this morning. The Lark app is a virtual companion that uses the health data on your phone to give you health and fitness tips, support, and encouragement. 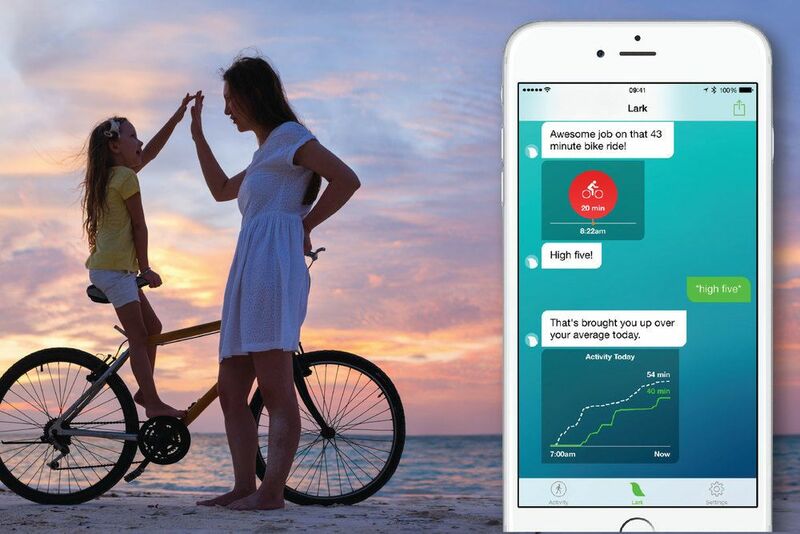 Chat with Lark about what you ate, your workout, even your sleep, and it will chat right back. Plus, since it utilizes the technology already in your phone, you don’t necessarily need extra gadgets to track your progress. 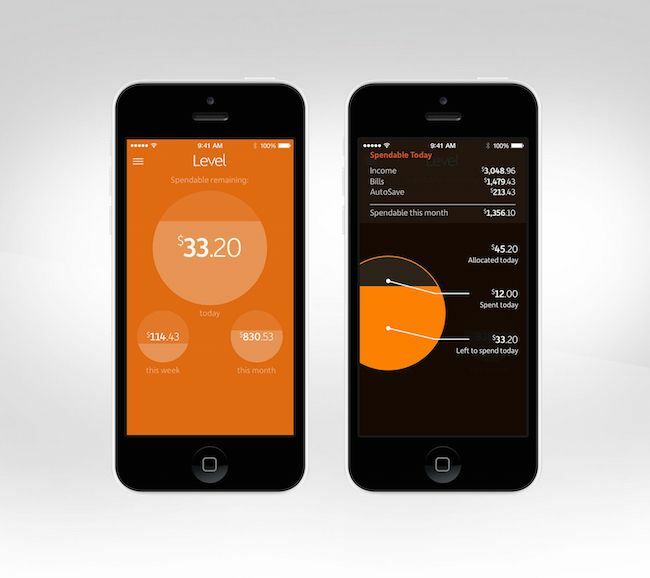 Once you sign up and sync your account and your monthly expenses, Level Money helps you create a daily, weekly, and monthly “Spendable” so you know exactly how much you can spend. Plus, it helps you see very clearly exactly what you’re spending money on so you can hopefully make better choices. 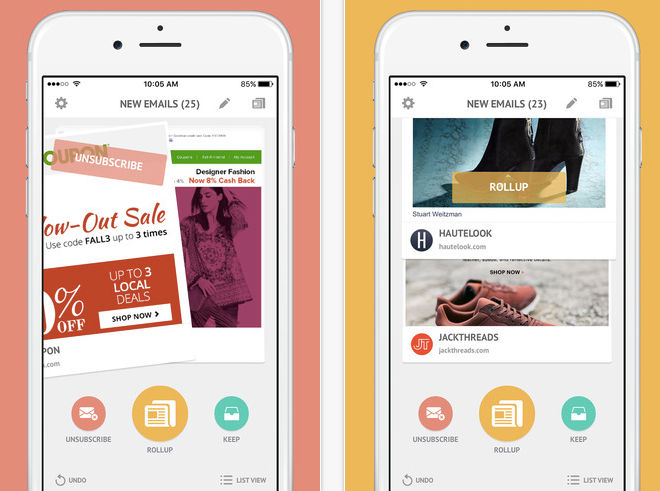 Manage your email and newsletter subscriptions with a couple of swipes thanks to Unroll.me, who recently launched their iOS app. Once you login with your email, it allows you to unsubscribe or keep the subscriptions you already have. And, you can also “rollup” your favorites so you receive them at the top of your inbox every day as a daily digest. 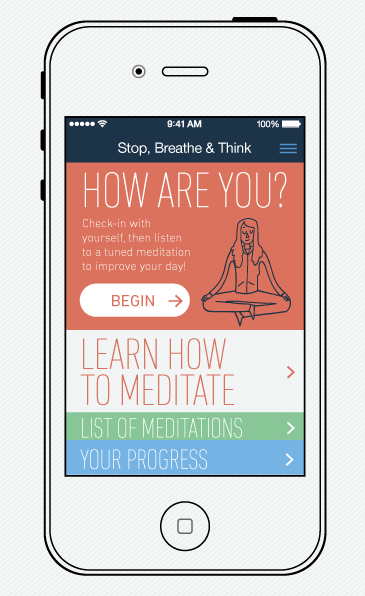 Along with a simple meditation how-to guide for newbies, Stop, Breathe, & Think generates meditations for you based on your mood and current emotional state, and allows you to track your progress and stress levels throughout the week.